What breed makes the best family dog? That is an argument that has gone on for decades and is likely to continue for many more decades to come. Everyone has their own opinion, of course, and there are many breeds often mentioned during discussions of the best dogs for a family. Deciding exactly which breed is best for your family, though, is something you need to consider in terms of your own particular circumstances, preferences, and needs. To help you with this decision making process, let’s take a look at a couple of breed choices that consistently find their way to the top of most surveys on the best dogs for families. This friendly, happy-go-lucky breed is a perennial favorite of families thanks to its wonderful personality and gentle temperament. Goldens are excellent choices for families with children of all ages in large part because they are so affectionate and loving without being overly aggressive or protective. Their lovely, feathery coats come in a variety of colors ranging from red tones to very light golden tones, but because of the length of their fur they do require regular brushing to stay healthy and looking good. 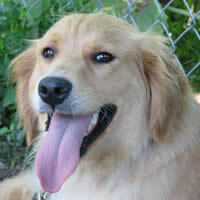 Learn more about the Golden Retriever. I can personally endorse the Golden Retriever because I have owned two of them and they were outstanding family dogs. My brother lost his Golden after 11 years. “Ruby” was part of his family and it was a great loss to them (he has 6 kids) when Ruby died. Photo credit for the Golden Retriever pictured above goes to ltshears. Her Golden’s name is Lily. Thanks for the great photo! This is another friendly, loving breed that is a huge favorite among families. Labradors are terrific choices for families because they are sturdy, friendly, playful, and attractive. What’s more, they can provide hours of endless fun thanks to their strong drive to retrieve just about anything you might find to throw for them. Labrador Retrievers come in a range of colors, including chocolate brown, black and yellow. Their coats require some regular brushing to keep control of shedding issues, but because their fur is shorter it is not prone to excessive mats or tangles. Learn more about the Labrador Retriever. This is my personal favorite in the best family dog category. Why? Because my Bailey dog is a Chocolate Labrador Retriever. She is 13 years old and an inseparable part of our family. We are lucky to have had her around so long. You can learn more about Bailey here. No, that’s not her picture. The photo credit goes to smittymike19. Thanks! English Bulldog — Denise from Tennessee said, “We have had our English Bulldog Brandy since a pup and she has been a joy to our family. She is only three and has such a personality. You can see Denise’s Bulldog here. Rhodesian Ridgeback — David from Ohio sayd, “I currently have 2 RR’s. Best dog breed in the world as far as I am concerned. They are smart, loving, loyal and great buds. I will always have Ridgebacks!!! You can see David’s Ridgebacks here. Anatolian Shepherd — Elaine from South Africa submitted a great story about this breed. “From the start it was clear that Jack had a wonderful temperament – surprising in view of the beating and abuse he’d suffered. We had no idea how old he was – he looked like an old man.” Read more of Elaine’s Anatolian Shepherd rescue story. You will like the ending. Irish Red and White Setter — According to Mike from Laois Ireland, “No other breed can touch the red and white setter.” That’s a pretty strong statement. Take a look his pack here. You can also see one of his pictures up and to the right. Photo credit goes to Mike Brophy. What’s the moral of the story? The best family dogs can be almost any breed, depending on who you are and your particular circumstances. It all comes down to how you define “best.” The intent of this article was to give you the most “bullet proof” dogs that almost always make a hit with families. However, dozens and dozens of our readers have their own feelings about this. SOMETHING TO KEEP IN MIND: As you are deciding on the best family dog for your household, please keep in mind. Although the Golden Retriever and the Labrador Retriever listed at the beginning of this article tend to be among the most popular for families, there is of course variation among individual dogs within each breed. The best dogs for families, regardless of breed, are generally the ones that demonstrate a gentle temperament, are not too dominant, and receive the kind of consistent dog training and guidance they need to become the best dog they can possibly be. Remember, too, that your children, or grandchildren for that matter, need to learn the appropriate ways to treat the family dog and understand how to properly interact with a dog. When you combine the right breed of dog with a family that is committed to being responsible pet owners, you will definitely end up with the best family dog for your needs! Use the form below to tell us about your favorite dog. Send us a picture, too. Our visitors LOVE to hear from other dog owners! What's the Best Family Dog in your opinion? 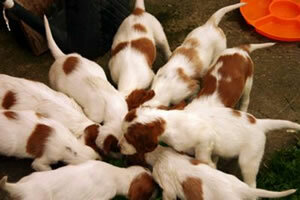 Do you have a great family dog or are you planning to get one? Please tell us your opinion on the best family dog or tell us why you chose the dog you did. Do you have a picture of your dog? Great! Click the button and find it on your computer. Then select it.